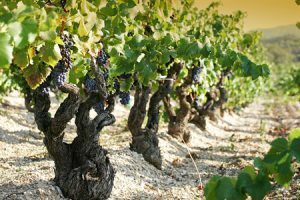 If you don’t have the resources to jump head first into the reigning region of Chateauneuf-du-Pape, whose silky and alluring wines command a higher, though well-deserved price, the next best way to discover Rhone is to venture out into its satellite regions. Unlike many other wine growing regions of the world, the span of high quality vineyards of the Rhone extends far beyond its heart, in this case, the historical region of Chateauneuf. In the Rhone, the satellite regions are where you will find not just some of the very best values, but also quite a heap of hidden gems. The general region of Côtes du Rhône, literally meaning “coast” or “shore” of Rhone, surrounds Chateauneuf. Within the Côtes du Rhône is a more specialized appellation called Côtes du Rhône Villages. Eighteen villages comprise the Côtes du Rhône Villages appellation. Since the 1970s (though a few established themselves before this) many of these villages have worked to distinguish themselves and have proven rights to their own appellations, gaining AOC (Appellation d’Origine Contrôlée) status just as Chateauneuf did in 1936. Besides the Côtes du Rhône and Côtes du Rhône Villages general appellations, these individual villages are where you’ll find some of the most mind-blowing wines. If you take a general count over the entire region, Côtes du Rhône wines are 94% red, 4% rosé, and 2% white. Grenache is the king variety, claiming 40% of all wine produced, including when it appears in blends and rosés. While many people would name Provence as the center of rosé production, there is a famous and historical rosé region in the southern Rhone. Tavel AOC, established in 1936, produces only rosé wine and is one of the most renowned rosé regions in the world. The wines are characterized by a salmon or bright pink hue, are full on the palate, exhibit fresh red berry fruit, and are highly perfumed, redolent of fresh herbs and spices. 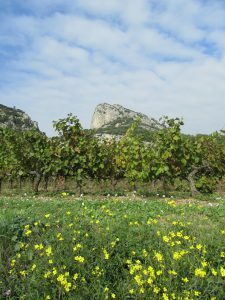 Gigondas, authorized as an AOC in 1971, lies at the foot of the Dentelles di Montmirail, a small but nonetheless dramatic chain of spiked and eroded mountains formed by a horizontal strata of Jurassic limestone that became folded and forced into an upright position. 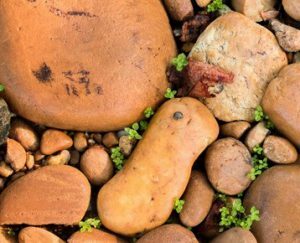 The soils are diverse and range from stony red and black clay to green granite and chlorite chalk. Its wines are some of the boldest, most concentrated, and mineral-laden in the southern Rhone, characterized by blackberry, red berry, earth, and garrigue. Vacqueyras, established as an AOC in 1990, lies just south of Gigondas and is comprised of diverse soils like Gigondas but with more sand and pebbles giving the wines a slightly more delicate feel. Black licorice, black cherry, raspbe rry, dried fig, and smoke are common descriptors for Vacqueyras wines. Costières de Nîmes is the farthest south of the established AOC regions, and one of the hottest areas of the southern Rhone. Its wines, ranging from wild and spicy to fruity and tame, offer a pleasant surprise, regardless of style. Ventoux vineyards stretch higher in altitude than the others, and fittingly climb the base of Mount Ventoux. Diverse soils and cooler temperatures produce reds with red berry fruit, blackcurrant, and ephemeral aromas of herbs, violets, vanilla, and licorice. Most reds from these regions won’t run you too far over $20 and usually they are under. The wines will charm you with their sultry mid-palate of fruit, brooding earth nuances, and sweet, aromatic bouquets of spice, violets, and black licorice.